e hanno nel retro " lo spillone" come gli originali. Marvellous reproduction realized by tracing of original, same the original. Every decoration have in the back the pin same the original. Stupenda replica della CROCE DI CAVALIERE CON FRONDE E SPADE DORATE con BRILLANTI! 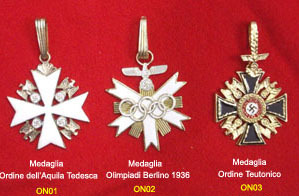 The every medals are realized by Italian Artisans and are examination by Mr. Luigi and experience for minimum particular. 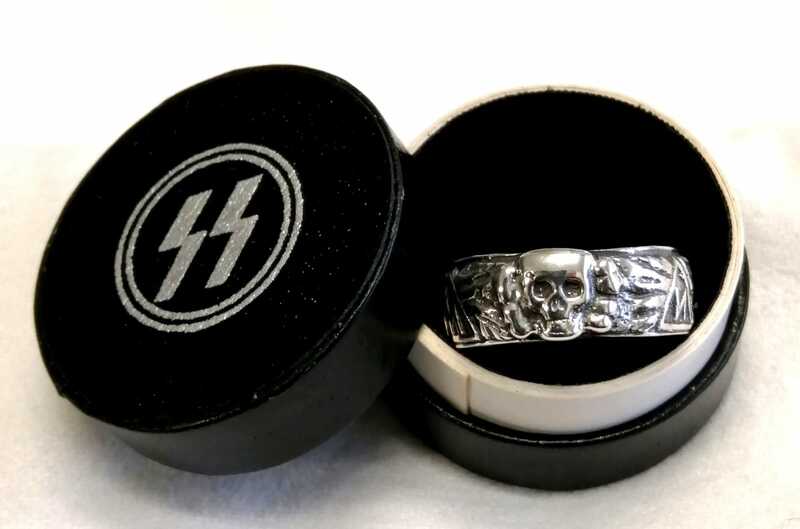 of 9 November 1923, was one of the most prestigious decorations in the Nazi Party. 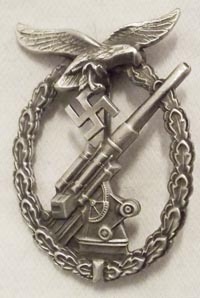 Instituted in March 1934, the medal is solid silver, with the obverse bearing a depiction of an eagle with a wreath in its talons. The reverse bears the inscription: UND IHR HABT DOCH GESIEGT ("...and you were victorious after all"). Rarissima meravigliosa riproduzione della Gran Croce della croce di ferro . Rarissima meravigliosa riproduzione della Stella alla Gran Croce della croce di ferro . 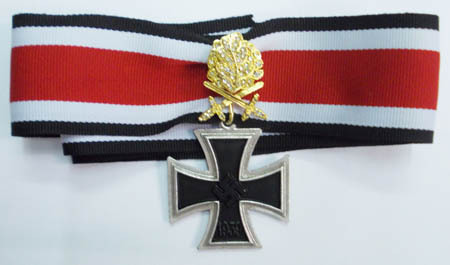 Marvellous reproduction of Grosskreuz des Eisernen Kreuzes. Marvellous reproduction of holders-decoration realized by tracing of original, same the original. Marvellous reproduction of metal plate of famous battels. Stupende repliche delle placche da braccio in metallo delle battaglie piu' famose. 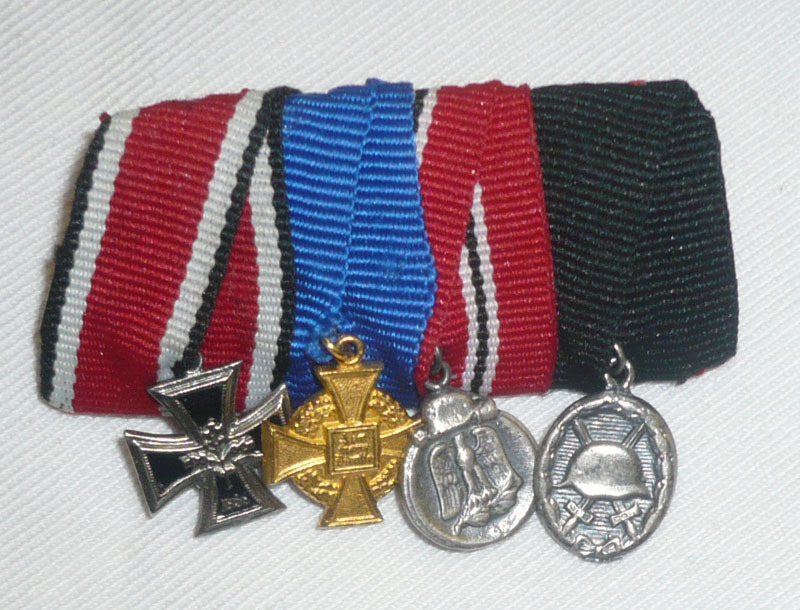 Marvellous reproduction of ribbon third reich for decoration. Riproduzione dei nastri per decorazione, riprodotti dagli originali. Marvellous reproduction of ribbos bars - Fantastiche riproduzioni delle mitiche campagne. SPECIAL OFFER !!! if you buy 10 awards yuo have a decoration is FREE. SPECIALE OFFERTA !!! se acquisti 10 decorazioni una e' in OMAGGIO. 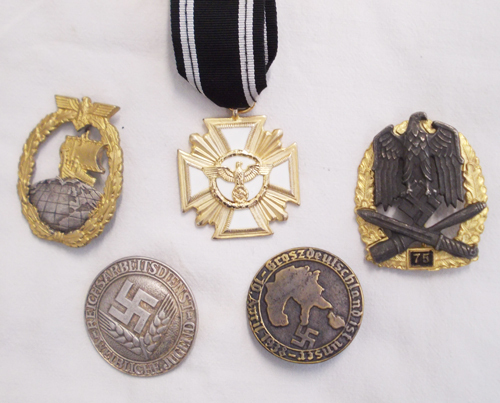 MILITARIA COLLECTION have many other medals and awards of third reich.